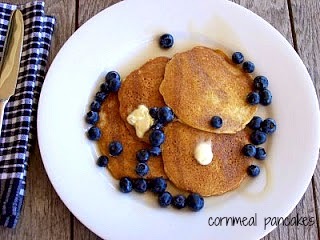 I have made these cornmeal pancakes for years. 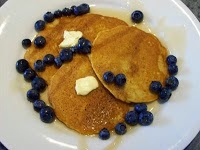 I like them because they are not too sweet, they taste great and are a nice change from more traditional pancakes. They are also really easy which is a plus for me when having guests for brunch. Not tons of work first thing in the morning. The gingered berries are delicious with the cornmeal, but feel free to experiment with plain fresh fruit, maple syrup or savory toppings. 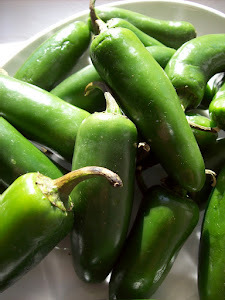 These are nice for breakfast, brunch, lunch or even a light dinner. Enjoy! Whisk together flour, cornmeal, baking soda, sugar and salt in a large bowl. Add the egg, buttermilk and olive oil. Stir just until lumps disappear..do not over mix. Pour the batter into a hot, greased skillet or griddle forming pancakes. ( I use a 1/2 cup measuring cup when making the pancakes) This batter is thinner than a more traditional batter so form your pancakes carefully. Cook until bubbles form and tops of pancakes look a bit dry. Flip and cook until second side is golden brown.